We may use one or all of the words. To the uninitiated ear the young soprano sounded falsetto, but to those in the know hers was the voice of a true soubrette. Bright like a bell and tinkling lyrically in the cathedral-like setting of the massive early 20th century music hall that had once served as a cinema. By contrast, the bass baritone taunted with his lumbering notes, sounding almost cumbersome. The juxtaposition of their voices, however, proved a satisfying melange of sound, floating like a soothing blanket across the enraptured audience who, for more than a few coins, had parked themselves in the plush confines of the operatic experience for a slice of dramatic fantasy. So, apparently the Muse opted to use all the words (light editing was in order) and transported us into the world of opera, a world with which, as the daughter of a dramatic soprano, I am quite familiar. In fact, now seems an appropriate moment to introduce you to the fact that I’m currently writing an as-yet unnamed light-hearted murder mystery set in the melodramatic world of opera, divas and dysfunction. I’m about 40,000 words in and having a helluva ride … dahling. Look forward to telling you more in future posts. Congrats Dorothy! I can’t wait to hear more about this upcoming book! great job with the prompt! Descriptive, I felt like I was there. Anytime, I love your blog! Great read & congrats on the book!!! Addressed in the way the experience feels for the first time, an approach with just the right amount of finesse in the writing.. All the best on the book! Very well done Dorothy! 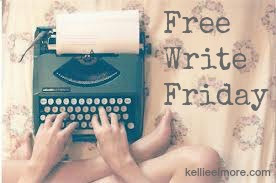 Loved the free write story and can’t wait to read the book! I feel intrigue already. I think if you keep flowing with this it will go well. I read a novel recently, Sacre Bleu, about artists, but you reminded me of this with the lyrically haunting prose.